My Christmas preparations are slowly getting under way with a few decorations here and there, a couple of gifts already wrapped and ready to go. 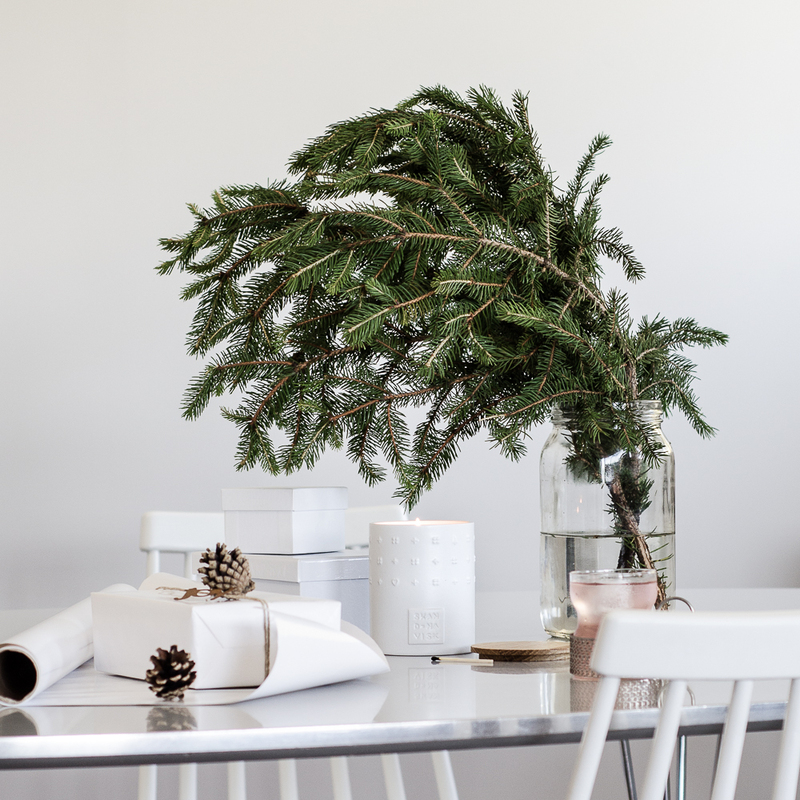 I was surprised to find spruce branches in florist stores for the first time, and despite the needles probably not holding for very long, seized the opportunity to bring a bit of Nordic familiarity into our home. Since we are having Christmas in the middle of summer (something I will most likely never get used to), it's all about those little details that I need to get into the Christmas mood. Some familiar foods (certainly not all, as it is too hot to eat the traditional Finnish Christmas meals), traditional songs and decorations from my childhood, as well as sentimental scents are the most important part. 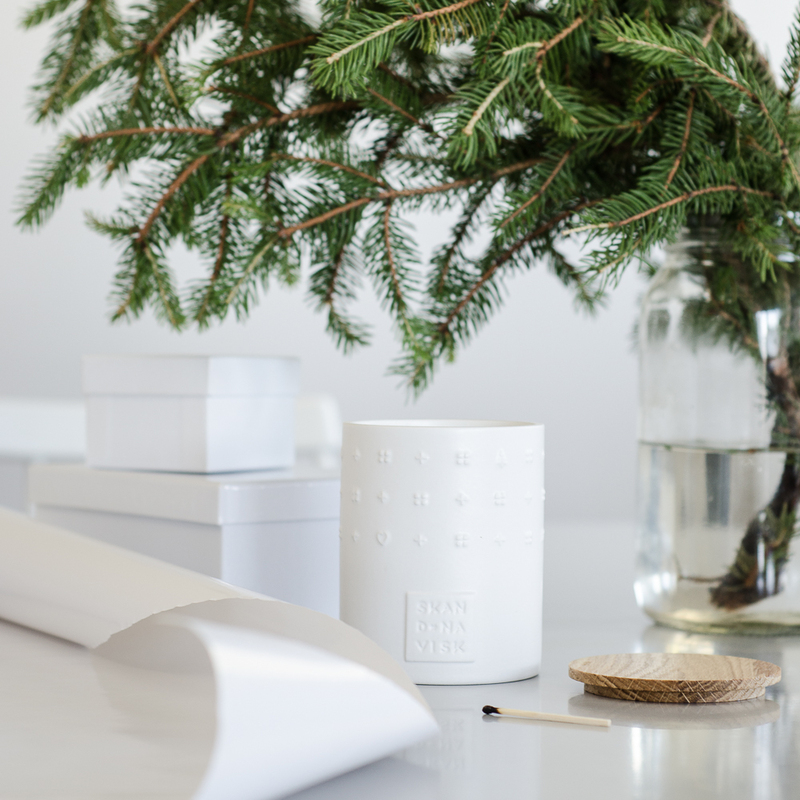 These candles from my favourite candle company Skandinavisk are essential for Christmas, but the new collection with the most stunning porcelain vessels make a beautiful gift all year around. I will be burning the Heia* candle this Christmas, and its familiar scents are bringing back so many lovely memories from home. Wishing you a positive week ahead, I will try and drop by again before Christmas to share some more photos, so stay tuned! *This candle was sent to me as a gift from Skandinavisk with no strings attached. All opinions are my own.